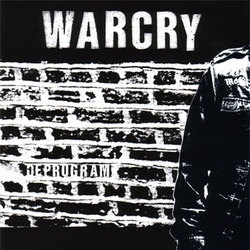 Fourth repress (first Euoropean one tho) of the second record by PDX d-beat masters Warcry. You know the story, right? Members of this and that, playing the same old stuff but 10000 times better than many other bands around. Deprogram consists of 8 tracks of brutal, insane, intense and brilliant D-BEAT written with capital letters.